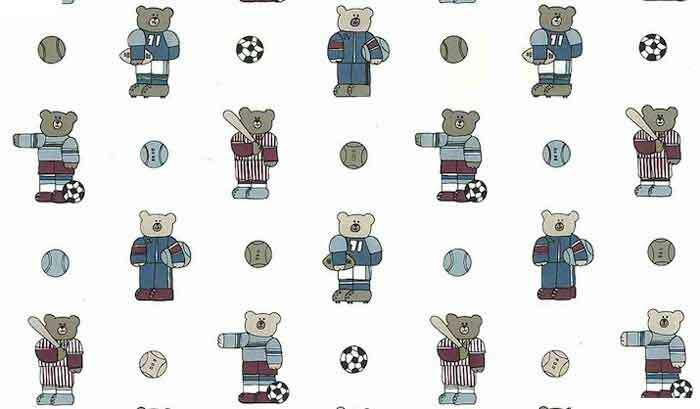 Sports bear vintage wallpaper pattern featuring bears in the uniforms of different sports. Included are baseball, soccer, football and one ‘generic’ sport. 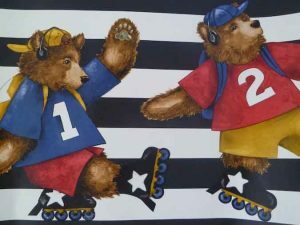 There are footballs, soccer balls and non-specific balls between the bear figures who all look natty in their uniforms in Blue, Red, Gray and White with heads in Brown or Beige. 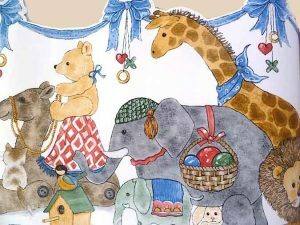 Ideal for a Children’s Bedroom or Playroom.